The 91-year-old Mormon temple in Mesa and its surrounding grounds will close for two years for renovations, the Church of Jesus Christ of Latter-day Saints announced Thursday . The temple grounds will close on May 19, 2018. Renovations are not expected to be completed until late 2020, the release said. That means the temple's annual Easter pageant and Christmas lights will be on hold until the renovations are done. The current visitor's center will be torn down and rebuilt on the southwest corner of Lesueur and Main Street. It will have interactive exhibits, temple history, family history research and teaching facilities, the release said. 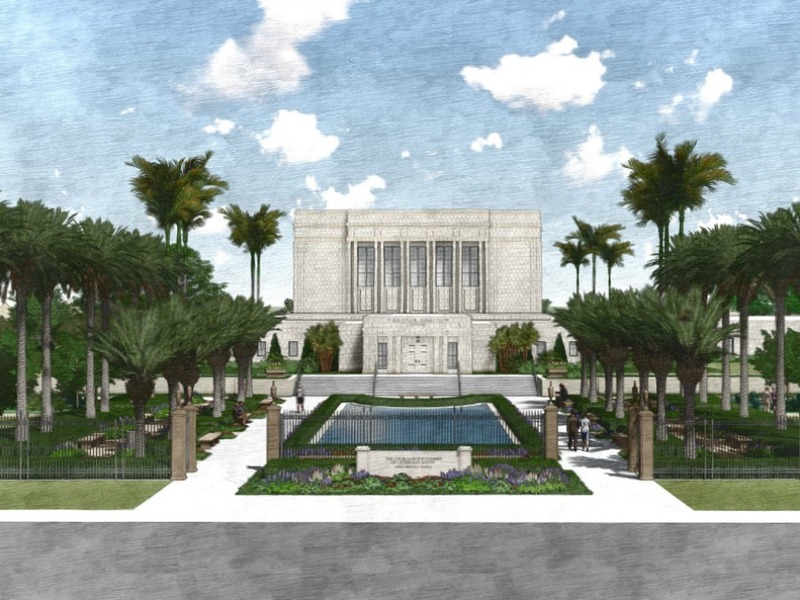 A second reflecting pool will be built on the temple's north side. The current reflecting pool will be repaired and is not moving. New murals will be added to "compliment the originals." The temple's roof and HVAC systems will be updated, new windows will be installed to conserve energy, and updates to make the temple and grounds more accessible for people with disabilities. "Systems wear out, even in temples," said Brent Roberts, managing director of special projects for the church. When the renovations are complete, the temple will open for public tours. This is the second renovation for the 75,000-square-foot Mesa temple. It was first dedicated in 1927 and re-dedicated in 1975 after a refurbishing project.